Here at Peninsula Dog & Cat Clinic, our Portland Veterinarian believes in giving our customers all the information they need to make the most informed decisions for their pets possible. How to deal with fleas and ticks is some of the most commonly requested information, because there are so many solutions on the market – only some of which are effective – and because, if untreated, they can make animals sick or even result in death. We’re here with the answers you need so you don’t have to wonder any longer. Why Are Fleas and Ticks Dangerous? The most common flea that preys on both cats and dogs is called the cat flea, or Ctenocephalides felis. In fact, it’s the most common external parasite for both dogs and cats, as well as rabbits, guinea pigs and ferrets. In large numbers, fleas can be very dangerous, drawing enough blood to kill puppies and kittens as well as young livestock. Fleas also transmit tapeworms, the plague and other diseases. Ticks may also transmit disease, which can cause fever, loss of appetite, vomiting, lethargy and even seizures. Do I Need to Treat My Pets for Fleas and Ticks in Portland? Yes. If you do not treat your animals for fleas and ticks they may become seriously ill or even die. It only takes 6 weeks for a single flea to turn into a million, which means a small infestation can easily become dangerous in a short amount of time. Depending on whether or not you live in a temperate area that sees cold weather, you may be able to stop treating your animals during the winter months, but in many parts of the country you should treat year round. How Can a Vet Help Me with Flea and Tick Treatment? 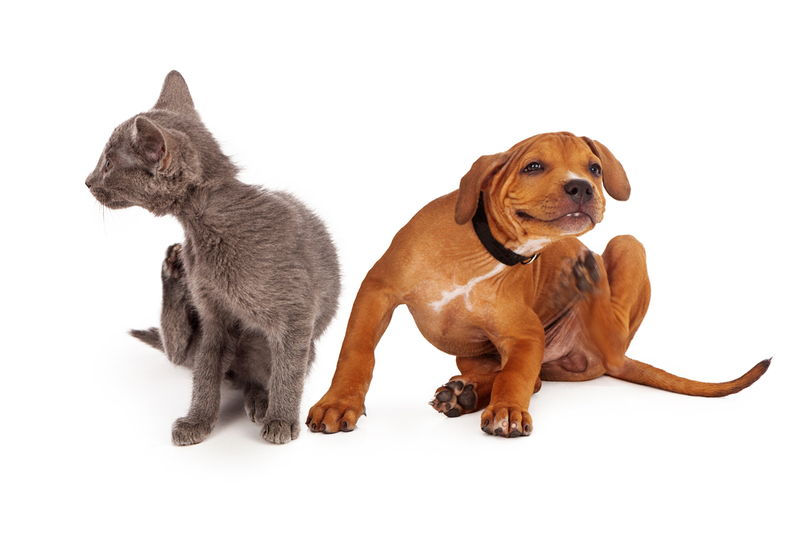 There are different species of fleas and ticks, and they transmit different diseases to your pets. The illnesses to which your dogs, cats and other animals are susceptible depends on where you live, so it’s not enough simply to get a “basic” treatment for your pets. Instead, you must talk to a professional vet to determine the right course of treatment and develop a plan to specifically address the dangers your pets might face. While there are flea and tick treatments available on the Internet, it’s better to get them from your veterinarian. This ensures the purity and effectiveness of the treatments, and therefore the safety of your animal. Always use products according to the directions on the label.